Domena: one of the best WordPress themes for domainers. 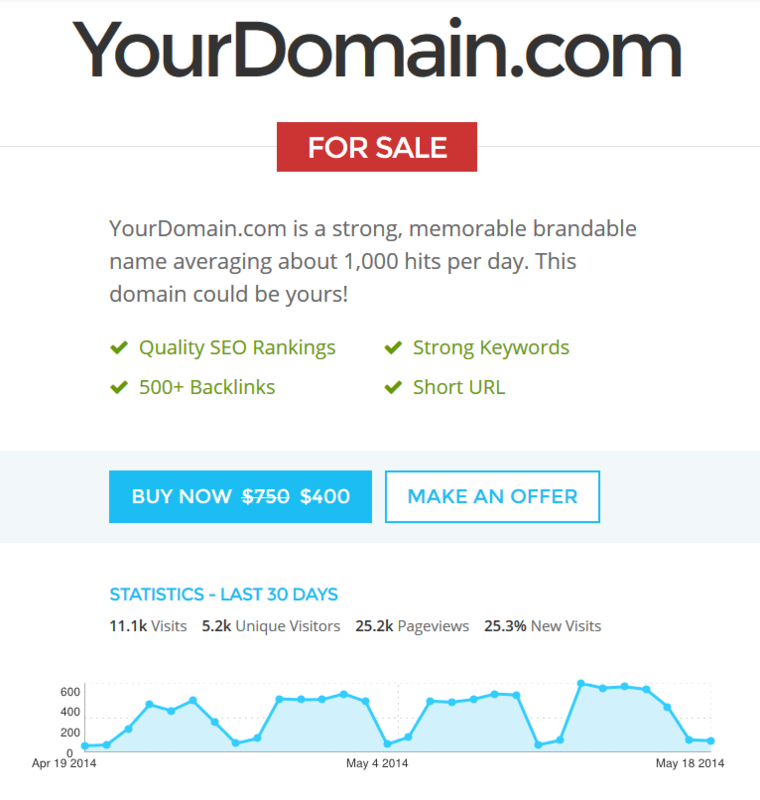 This “domain for sale” template is elegant and responsive. It offers Google Analytics integration and multi-domain support. inTime: a domain sale and coming soon plugin for WordPress. It has a responsive and clean design. Use it to build hype for your upcoming site or promote your existing domains. Have you found better “domain-for-sale” themes or plugins for WordPress. Please share them here.